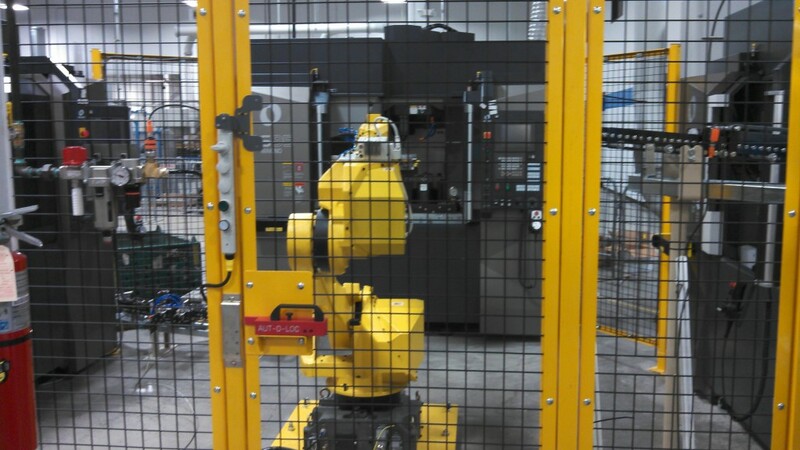 This floor-mounted modular system utilizes a Fanuc M-710iC six-axis robot to transfer transmission parts to and from three different Makino machining centers. The robot is equipped with four grippers so that two parts can be unloaded simultaneously and then two parts can be quickly re-loaded. This clever idea cuts down on cycle time and increases throughput. 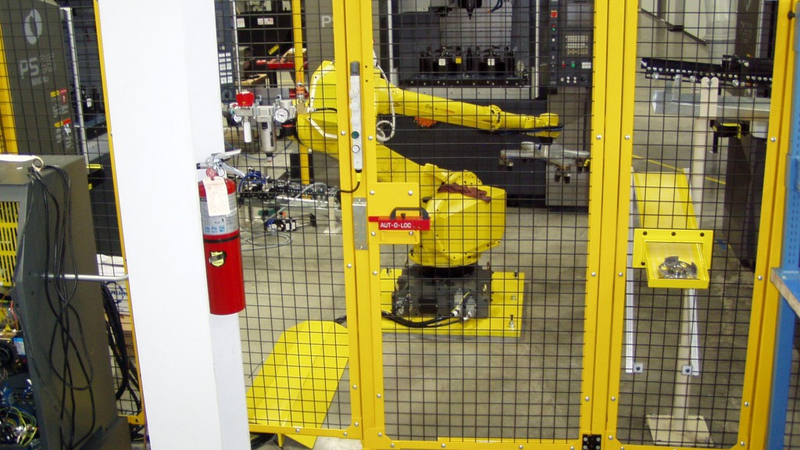 The cell is controlled entirely by the Fanuc R-30iA controller. 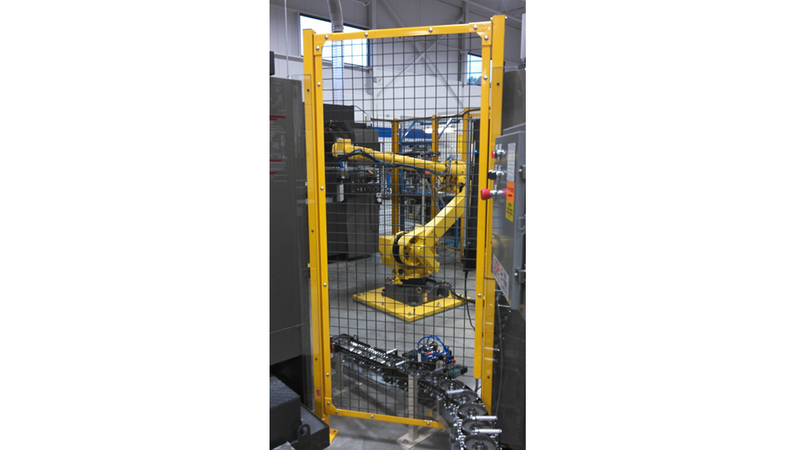 The perimeter guarding features a safety interlocked-access door. Roller conveyors are used to transport parts in and out of the cell.